Achieving your five a day can often be a struggle, especially when it is now recommended that no more than two of these portions should come from fruit! It’s a bit hard to whip out some broccoli florets to snack on when you’re on the run. Therefore, an easy way of increasing your get intake, often without even realising, is bulking out your meals. 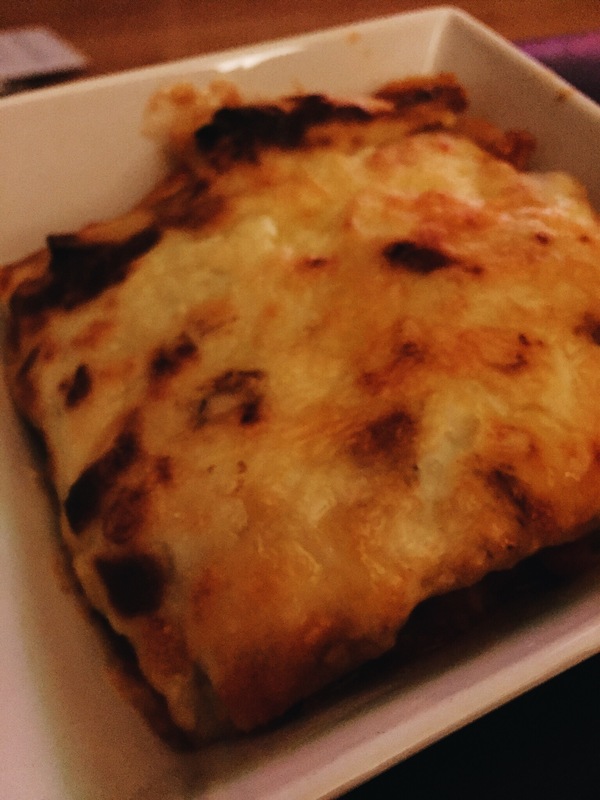 Lasagna is a family favourite which always gets all the family eating a wholesome meal together. By removing the red meat source every now and again from a meal, the fat content is reduced and micronutrient is greatly increased. The meal is also great for vegetarians or adding those extra veggies into your kids diet. Finely chop all the veg into cube size pieces. Add the broccoli to the pan with a little amount of water and cook for 5 minutes at high heat. Add in the coconut oil, melt, then add in onions, red pepper, carrot and mushrooms. Add in the chopped tomatoes, herbs and spices and ketchup and stir in veg. Add stock cube, mix well, and simmer for another 20 minutes. While the sauce in reducing, whisk the milk, flour and mustard in a seperate pan at high heat. You must do this constantly until the mixture thickens. Once mixture has thickened, remove from heat and add grated cheese. Mix well. Now to layer! In this process: 3 lasagna sheets, 1/2 veg mix, 3 lasagna sheets, 1/2 cheese sauce, 1/2 veg mix, 3 lasagna sheets, 1/2 cheese sauce. Top with freshly chopped herbs if preferable! Bake lasagna in heat proof square dish for 20 minutes at gas mark 6 (220 degrees C) and remove once golden brown and crispy. Leave to cool for ten minutes, then serve into four portions.